11 cattle belonging to a genocide survivor were hacked with a machete yesterday in what looks like a hate crime designed to intimidate, threaten and harass the survivors. 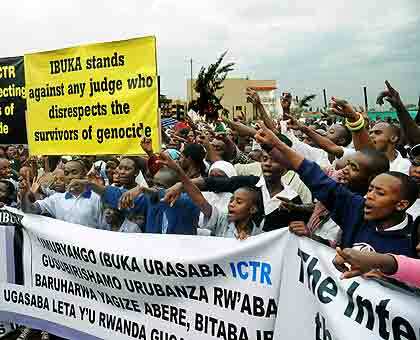 For an outsider, this incident may seem trivial but for the Rwandans, it is another ugly reminder that hate towards survivors remains, and reconciliation is only a thin PR illusion. Targeting the survivors and their livestock is not a new phenomenon. It is rather a pattern that keeps repeating itself on a regular basis especially in the days leading up to the genocide commemoration period, April to mid-July every year. A number of similar incidents had occurred during the remembrance period last year. Since the end of the genocide, hundreds of genocide survivors have been killed by their Hutu neighbors whom they have no other choice other than living side by side with them. Apart from the symbolic meaning they hold in Tutsi life, Cattle is the major source of income for few survivors–who happen to own some, in rural areas of Rwanda. This is a hate crime if not terrorism and it should be treated as such. To echo the words of Noam Schimmel, is there any safe place that genocide survivors can call home?